Welcome to part 3 in Florida real estate school Larson Educational Services’ 3-part series on successful public speaking. Public speaking is a necessary skill for every professional, but real estate professionals must especially be adept speakers because garnering trust and confidence will help you increase your sales. In this part we are going to focus on leadership and how successful public speakers present themselves as a leader. According to The Book of Lists, the number seven fear of American adults is death. Fear of heights ranks fourth. 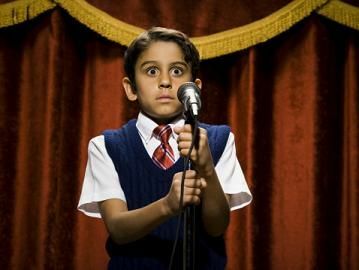 Number one is the fear of public speaking. Convert any outside pressure you feel to power. Think about doing great, not about problems. Your audience is depending on you to succeed. See every detail of the room, what you will wear, who will be there. Feel it. You will be great! Imagine success. Smile, sing, hum and make happy noises. Have fun! And when you nextStand Up and SPEAK your presentation may be the BEST you’ve ever made! 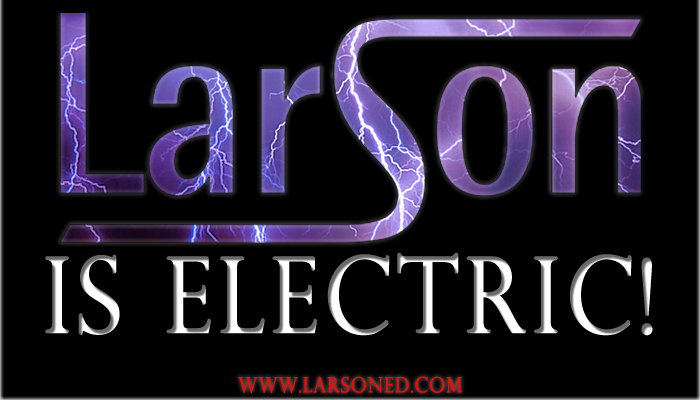 Florida Real Estate School LarsonEd is Electric! Services’ 3-part series on successful public speaking. Public speaking is a necessary skill for every professional, but especially real estate professionals must be adept speakers because garnering trust and confidence will help you increase your sales. In this part we are going to focus on energy and how successful public speakers present themselves energetically. speakers, and the best communicators in the world: two-year olds. 1. Use your voice and vocal variety, plus motion and expression, to convey that you believe in what you are saying. 2. ALWAYS, ALWAYS, ALWAYS repeat the question! 3. Involve the audience–don’t just dispense information. Ask questions, don’t ask FOR questions. Humor: anecdotes, third party examples, no jokes! Larson Educational Services is an approved NMLS Education Provider (ID: 1400171) and 20 Hour SAFE Comprehensive Mortgage Loan Originator Course is the 20-hour course approved by NMLS (ID: 1181) to obtain your Mortgage Loan Originator license. Federal and state laws require that state-licensed mortgage loan originators complete NMLS-approved pre-licensure education at an NMLS-approved school. Larson Educational Services is a Florida-based NMLS-approved school – NMLS PROVIDER ID: 1400171 and NMLS COURSE ID: 1181. Mortgage Loan Originators or MLOs are an integral part of the real estate transaction. As a licensed MLO, you will be working with mortgage lenders to obtain financing for potential home buyers and you will be paid based on the financed dollar amount. It is a challenging, but financially rewarding career choice. All MLOs are regulated by the state in which they will originate loans and must be registered with the Nationwide Mortgage Licensing System or NMLS. The curriculum development team at Larson Educational Services has developed this course to include the mandated hours and topics and to reflect the body of information required for an entry-level mortgage loan originator. At the conclusion of this course, you will be armed with the knowledge to legally, safely and efficiently serve the needs of today’s borrowers and lenders in real estate financing transactions. The course workbook combines detailed text, student notes, and sample questions. The course is updated as necessary to reflect ongoing changes within the mortgage industry. This course includes ALL exam preparation materials necessary to be prepared to pass both NMLS exams, including the Uniform State Test (UST) questions. Course registrations at Larson Educational Services can be made by phone (239) 344-7510 or on our website LarsonEd.com. We accept “paid” or “unpaid” registrations at time of enrollment, meaning you can pay your tuition today or wait until you check in on the first day of the class. Either way, your seat in the course will be secured.